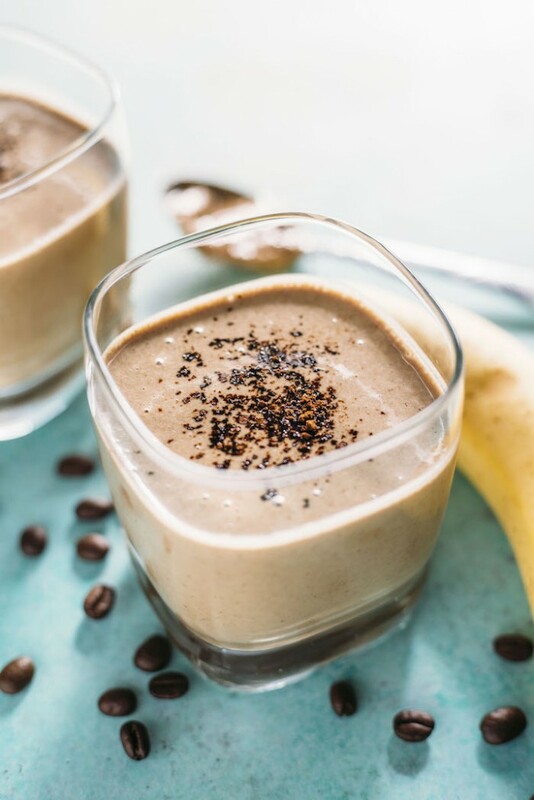 A sweet and energizing breakfast option is made with this Espresso Almond Butter Smoothie. Hi, friends! 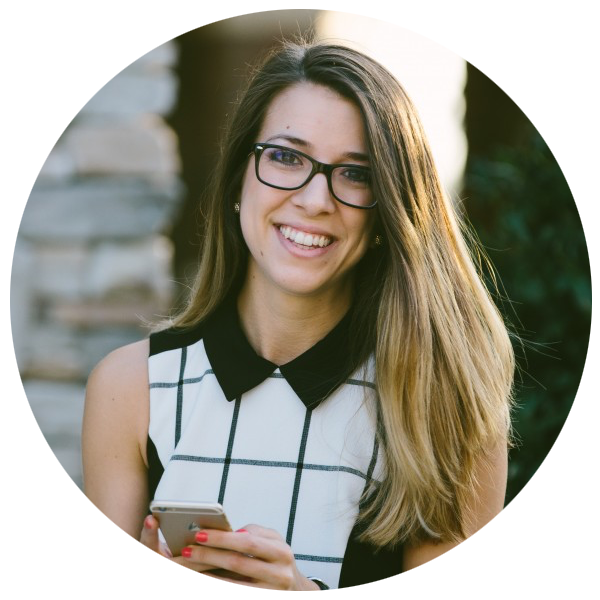 I’m so excited to have Erin of The Almond Eater sharing a guest recipe today. Erin has always inspired me with her more-than-delicious food and unique recipes. Her creativity never fails and I guarantee her photos will make you drool. Hi The Blissful Balance readers! How’s it going? 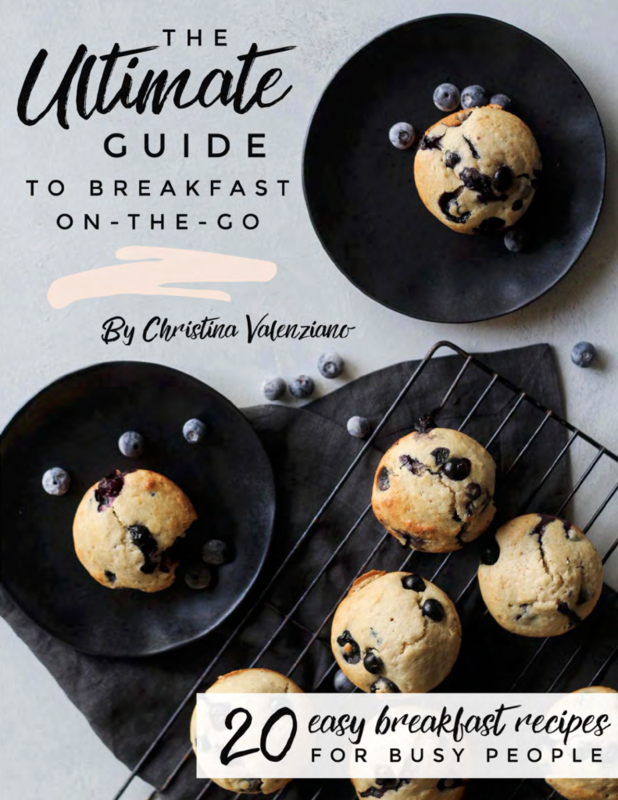 I’m Erin, author of the blog The Almond Eater, where I share quick and healthy 30 minute recipes. Todayyyyy I’m sharing a 5 (!!!) minute recipe that also has coffee in it. Do I have your attention now? Excellent. I don’t know about you, but I absolutely require a cup of coffee every morning. Even on mornings when I don’tthink I need it, I do. 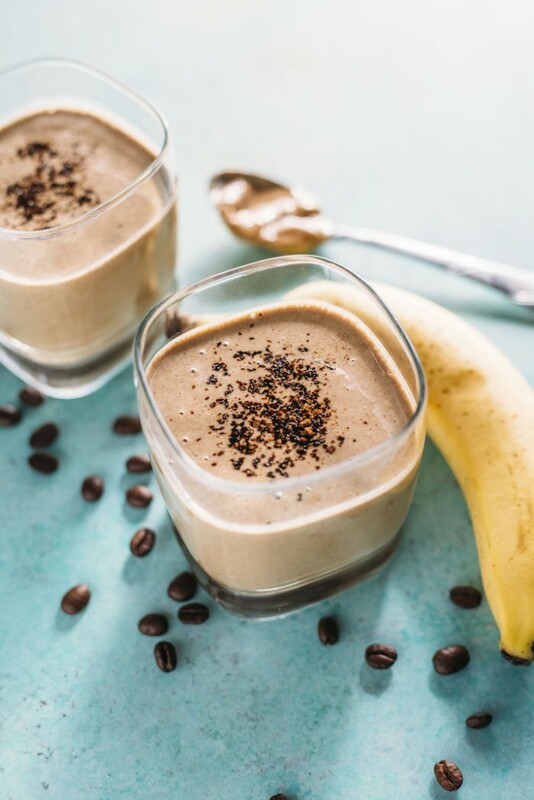 While I love a regular ole cup o’ joe, throwing coffee IN a smoothie is a simple way to pack in more nutrients and keep you fuller longer. Sounds like a win-win to me! 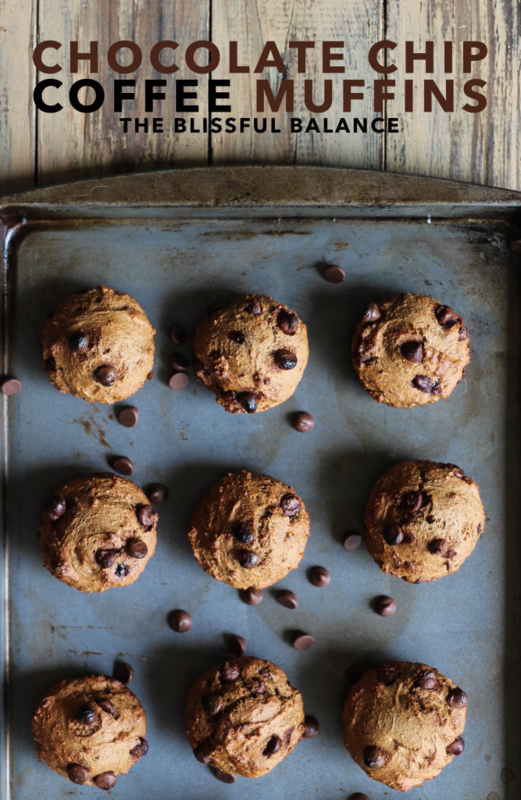 This recipe was actually inspired by one of Christina’s recipes–her Vanilla Espresso Cashew Butter. I knew I wanted to make a smoothie, and I knew I wanted it to have coffee in it, but I wasn’t sure what else. Then I remembered her brilliant recipe and viola–that’s how this bad boy was created. 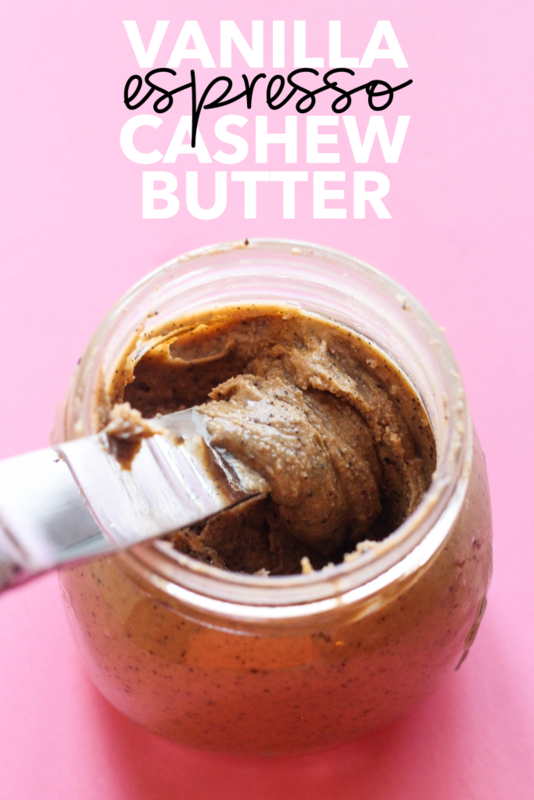 You can use her homemade cashew butter or any store bought cashew, OR almond butter. I actually had almond butter on-hand so that’s what I ended up using, but either would be delicious (because almond butter+espresso AND cashew butter+espresso=amazing). 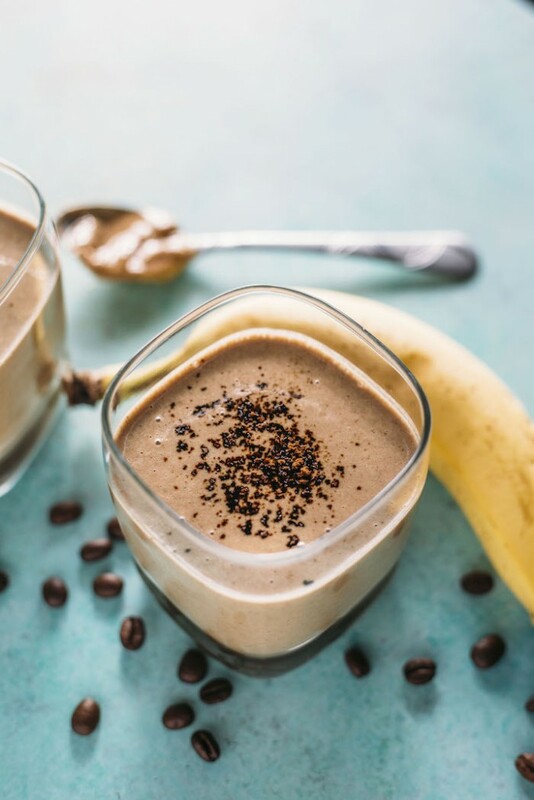 A sweet and energizing breakfast: Espresso Almond Butter Smoothie by @thealmondeater! This recipe makes one large smoothies or two small-regular size smoothies. If you give it a try, tag #thealmondeater on Instagram–I love to see your creations! Combine ingredients into a blender and pulse until smooth, approximately 30 seconds to assure the coffee is well blended. 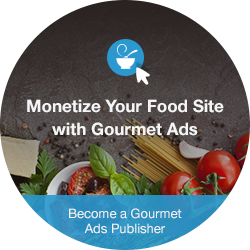 Marina @ A Dancer’s Live-It recently posted…“‘Flix” Fit For Foodies! This sounds so yummy. I’ve heard of putting instant coffee in my smoothie but I haven’t tried it yet. I’ve actually been off of coffee since February but I’m starting to think that I need it back in my life. And that I need this smoothie in my life. Oh my gosh I would be dead LOL I tried that once in college and had a migraine by 9am. Probably not the best sign. Oops. OH MY. That’s all I can say because it combines some of my favorite flavors!! Excellent idea! I’m pretty speechless, too. So stoked about this TAE creation!! <3 thanks Kaitlin! This sounds absolutely wonderful. 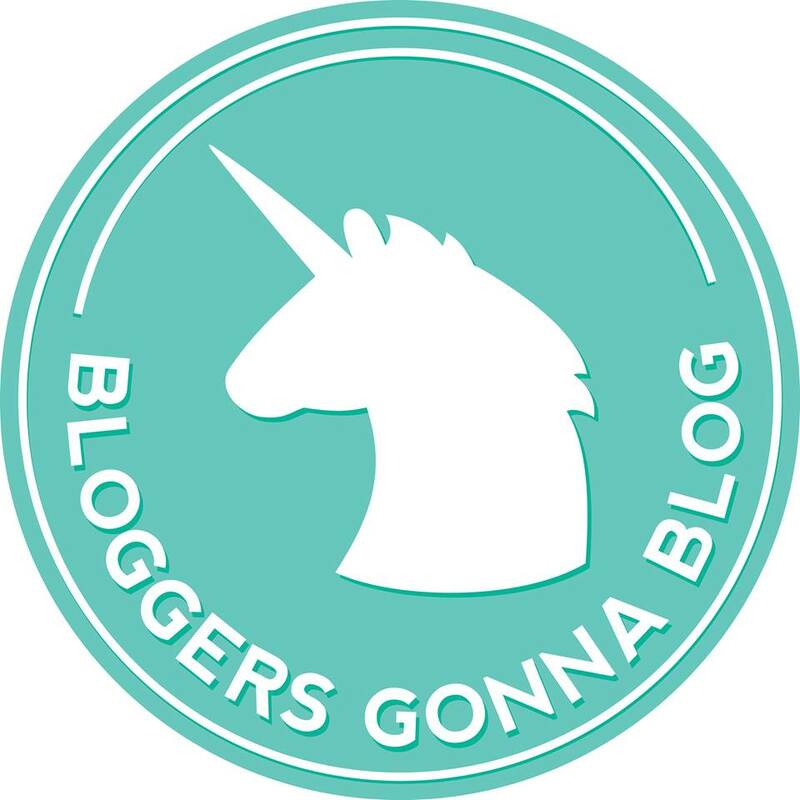 Definitely pinning to use very soon! There you go with that instant coffee again!! I love it! This sounds deliciously amazing. You should submit this as an idea for Starbucks. 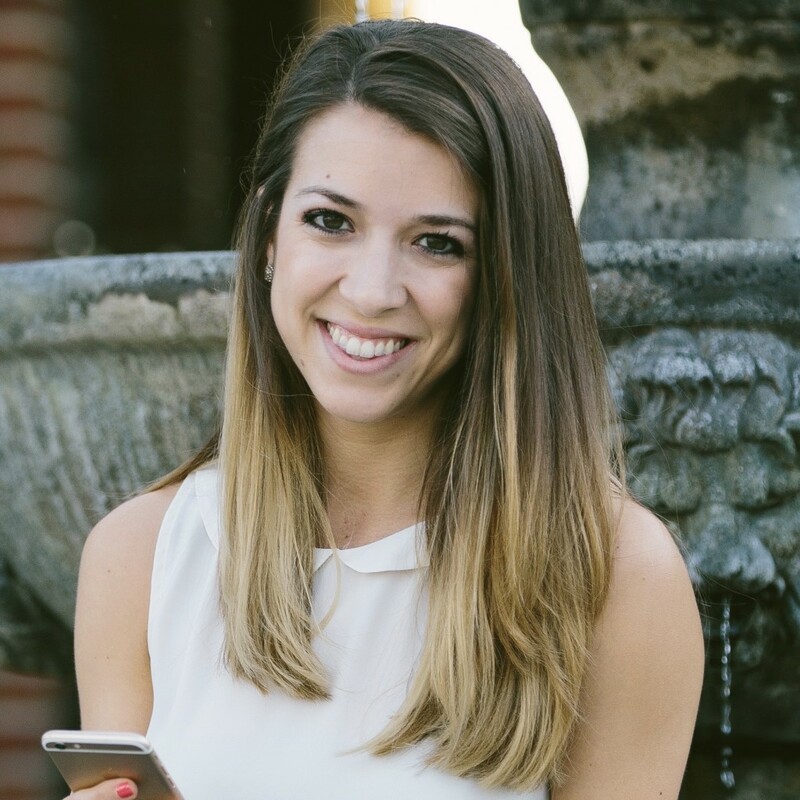 Emily recently posted…What is False and Real Recovery? Thanks for stopping by Ivanna!! What’s your usual coffee-smoothie combo!? I can’t wait to try this! I love coffee flavored everything. 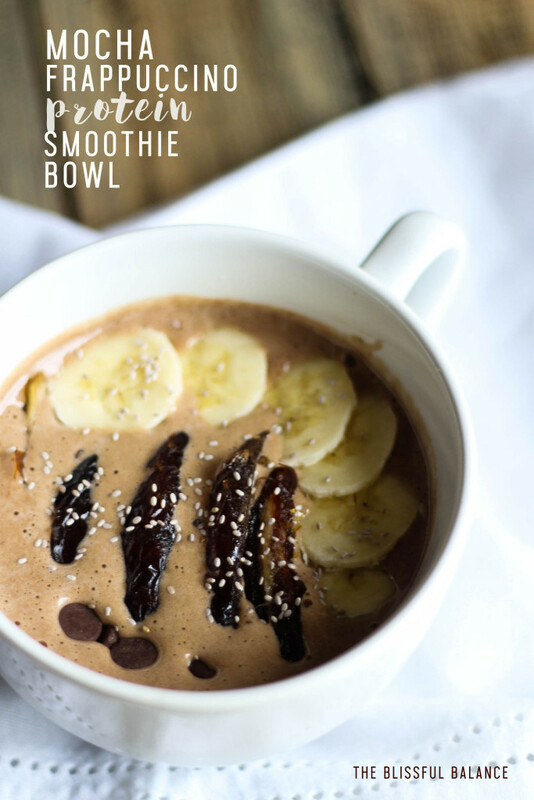 Plus, this gives me my morning jolt of java with my usual banana nut butter smoothie combo — two birds & one stone! And that Vanilla Espresso Cashew Butter, OH MY! Isn’t Erin a coffee genius!? Oh, yes please! Love espresso in my smoothies for a little extra pick me up! Yummmm! I am definitely going to be making this soon! Looks so food Christina. I wonder what it would taste like substituting Cacao powder for coffee. Thanks for sharing such a nice breakfast smoothie recipe. It really looks so good & I love how easy it is! Honestly, I’ve never tried coffee in my smoothies. But your recipe sounds delicious to me. Just saved it!